Hey everyone, we all know that Microsoft has been talking about supporting smaller acts with the Zune initative and helping consumers to find new music...but after my interview attempt with The Adored ( who despite being a great band didn't really know much about the Zune or Microsoft helping smaller acts), I was a little put off. However, it looks like I may have been proven wrong. Microsoft very well might be living up to their promises from what I hear from the band Bitter Sweet. In an interview I recently had with them they not only knew what the Zune was, they were able to tell me about Microsoft's commitment to the band and it sounds like Microsoft is really trying to help. So with out further ado...here is the interview with Bitter Sweet. Okay...what is the story behind Bitter Sweet? people and opportunities find their way to our sound. What was it like to be told you were being Pre-Loaded on the Zune? 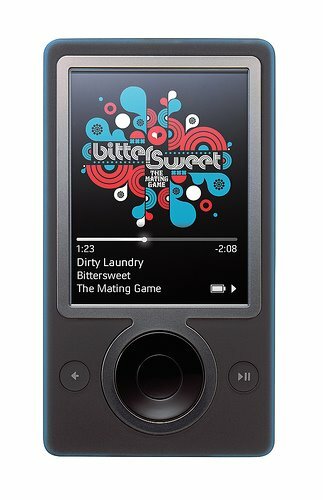 hearing your music on the Zune this holiday"? 6 million?? Wow! I think we're still in shock. and we certainly couldn't be more excited. As a smaller band, what is it like to receive this kind of exposure? It's an amazing opportunity for a band like us! than it was all worth it! 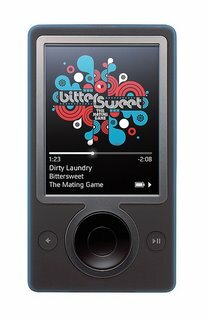 What do you think of the Zune, and how does it compare to the iPod? smaller acts out there, have they been working with you at all? If so, to what extent? Do you think this is good for the industry? enabled us to play for our biggest audience to date. When are you coming to Chicago and can you get me some tickets?!?!?! very soon, we're hoping for early next year. Thanks for the interview! You guys Rock!! !